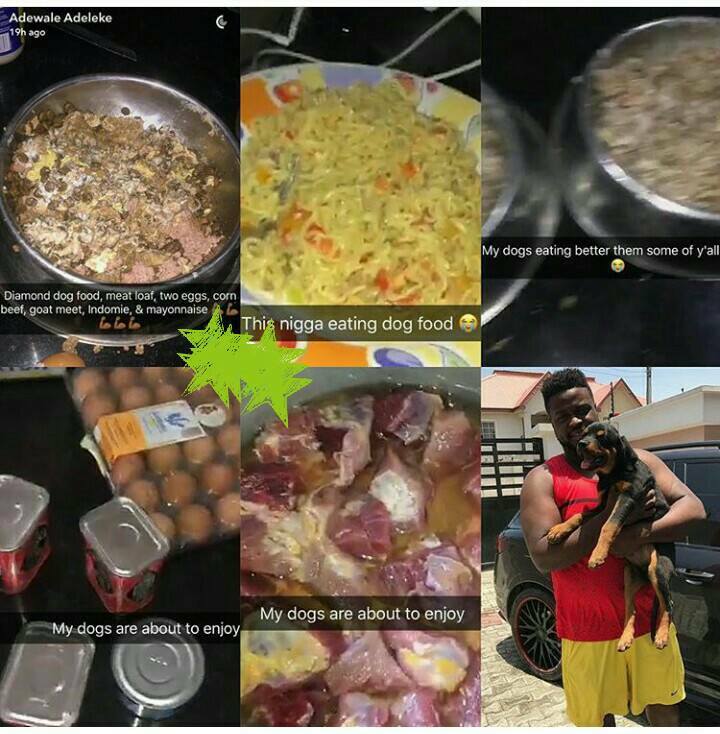 Few days ago, Davido’s elder brother, Adewale took to his Snapchat to brag about how his dogs eat better than some Nigerians and how he considers noodles a food for dogs. Although he later apologized, media entrepreneur took to her Facebook to share a thought-provoking post about Adewale’s claim. For the black man, it is not just money and success... it is the delight in humiliating another black man.A black man doesn't want to be successful if it will not allow him show off. We can't comprehend quiet success. It has to be boisterous, vain and condescending to others. It is on this premise that we birth the #pepperdem concept.One step from point A to point B, the black man looks around to see who he can taunt with success that really isn't success, just a natural order of life... as instinctive as moving your head or your arms. Nothing more.Your career is just taking off, no well thought-out plan just yet, no real success yet, it's still early days... but you are already a star (pronounced: staaaah)... you already have fans... you are already into the #pepperdem crap. Who are you peppering? Nobody. The journey is still far. Why do you need to look around to see who you can hurt with your average goals? Why is it even necessary?It is why African Americans have to wear their wealth around their necks, dragging thousands of dollars around like a dog.-Because black success isn't success if it cannot make the next black person uncomfortable.In Nigeria it's just pathetic. Not for Davido's brother. He is just an idiot born into wealth.It is mainly for people who take this nonsense seriously.I'm sure Zuckerberg's dogs eat better than many African children. Oprah's dogs too.But I'm sure neither Mark nor Oprah's pet sitter would feel the need to take pictures of their pets' food to taunt people living on minimum wage. (Davido's brother is the pet sitter in this case. Born into wealth should, at least, come with some decorum. )It's unnecessary. It is the game of psychopaths. The lack of ability to show empathy.We are so average, and in this mind-numbing averageness, we are resplendent in our arrogance.You have make up on, yet you feel the need to #pepperdem. Makeup lasan. Fake eyelash and contour. O tan.You manage to pay for a logo design for your zero profit company yet to make one miserable million naira, but you need to sign off with #winning.How?I know people who can barely get up in the morning to pursue one goal... right on their beds, they are thinking of ways they can make people jealous of a "success" or some kind of progress that happens only inside their heads.You pay your rent, it comes with a hashtag #doingitbig. Shouldn't you be able to pay your own damn rent in the first place?I can't understand.Not too many black partnerships succeed. Black man wants to buy Range Rover with the first cheque that comes in, even if he has to starve till the next cheque happens.From Polticians to Pastors to the average Paulina...trying to show us they have arrived.God help you and your small dreams.